For those who love the OC but not the OC price tag, Palisades Sierra Del Oro in Corona, CA, is here to offer you an alternative. 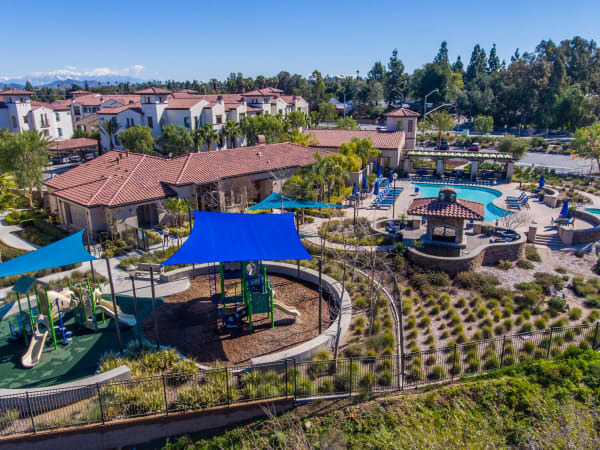 This family-friendly community set amidst the beauty of the Santa Ana Mountains is home to the award winning Corona-Norco Unified School District, Corona Regional Medical Center, Watson Pharmaceuticals, TWR Framing, Kaiser Permanente, and many more excellent employers. Only minutes from Prado View Elementary School, we keep you close to the places that matter most. Go to the local farmers market to pick up farm fresh produce and artisanal handicrafts or drop by any one of the nearby boutique shops or malls for a refreshed shopping experience. When it comes to getting around, no one does it better than Palisades Sierra Del Oro. Our luxury apartments offer you a country club lifestyle that is central to it all. Commute into Corona, Irvine, Chino, and Yorba Linda with ease via Highways 91, 71, 241, 15, and 60. Learn more about our outstanding location with a personalized tour. Let us welcome you home to luxury.